CommsCon 2018: Is traditional PR held back by a lack of originality? 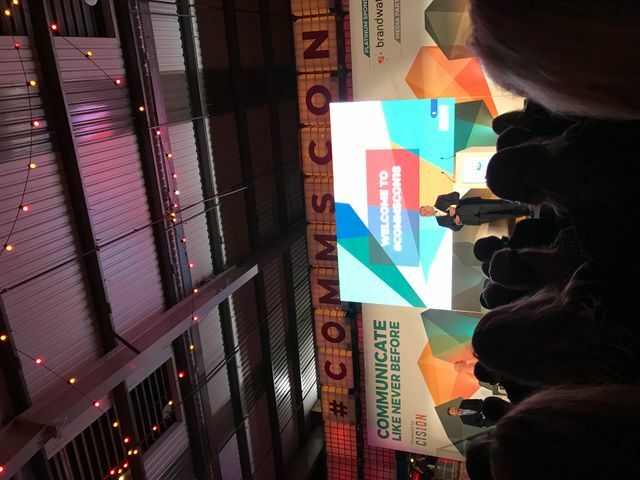 At this week’s CommsCon 2018, a panel of four PR powerhouses from a range of different organisations took to the stage to talk all things storytelling, creativity and also to show of some great examples of creative work from their teams. One of the main quotes that stood out was that from Gabriela Lungu, founder at WINGS Creative Leadership Lab, who spoke about how the communications industry tends to have an ‘if it ain’t broke, don’t fix it mentality’ when it comes to campaigns. Lungu urged the audience to be bolder with their creativity and to find an obsession for originality rather than sticking to the same old, tried and tested campaigns. As part of this, Kelly Bergl, Group Manager, EMEA Communications at Adobe, added that, when running campaigns, authenticity is key. She then showed the hundred strong audience what was one of Adobe’s most successful B2B campaigns – the digital recreation of Edvard Munch’s 100-year-old brushes, which were then made available in Photoshop. Quoted by the Independent as “a first-of-its-kind project”, the campaign smashed all predicted outcomes and is proof that with a little bit of creativity – coupled with originality – communications campaigns can actively achieve incredible results for your brand. "The audience were urged to be bolder with their creativity and to find an obsession for originality. Creativity needs to solve issues."